CSI St. Mary's English Church - Premanand Edward Malayakal. 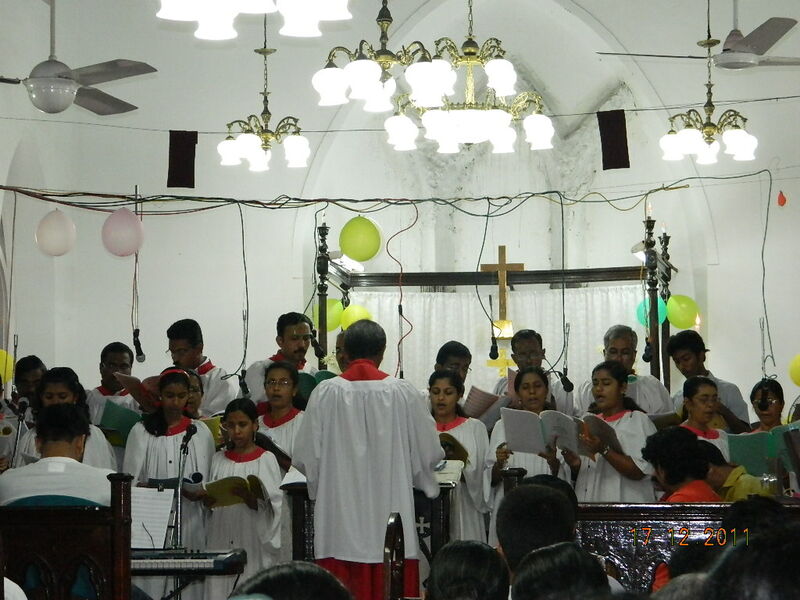 CSI St. Mary's English Church celebrated Carol Service on 17th Dec 2011. Rev Viji Verghese Eapen, Director, Ecumenical Relations and Ecological Concerns, CSI Synod, Chennai gave the Christmas message.